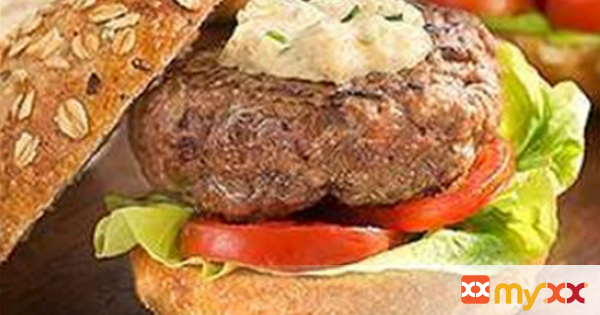 Spice up your classic cheeseburger with blue cheese and horseradish mustard. 1. Combine mustard, mayonnaise, cheese, chives and garlic; set aside. 2. Shape ground beef into 12 slider patties. 3. Grill burgers over medium-high heat about 8 minutes turning once until juices run clear (160°F internal temperature). 4. Serve burgers on slider rolls, top with salad greens, tomato and mustard mixture.